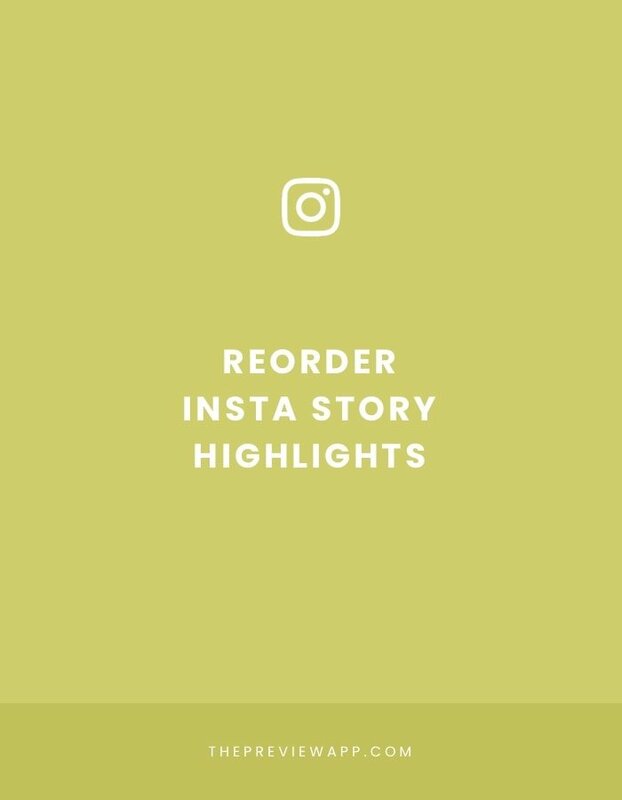 How to Reorder your Instagram Story Highlights? How to Reorder your Instagram Highlights? Instagram doesn’t have a feature that allows us to reorder Highlights (yet). Select a Story and add it to the Highlight you want to move at the beginning. It doesn’t matter if the Story is not related to your Highlight because you will remove it after. As soon as you add the Story, the Highlight will move to the beginning of the list. If you want to reorder multiple Highlights, just follow the same steps for the other Highlights too. If you want to reorder them in a specific order, then add random Stories in each Highlight strategically. Remember, it’s all about the timing. Insta Story Highlights are ordered chronologically. And you want to reorder the Highlights like this: Highlight 1, 2, 3. Add a Story in Highlight 3 first (which will move number 1 in the list). Then add a Story in Highlight 2 (which will move it to number 1 position, and 3 to number 2 position). Then add a Story in Highlight 1 (which will move it to its righteous position: number 1). Don’t forget to remove the random Stories in your Highlight and you’re done! Does it help? Let me know if you have any questions.